By enabling your car to share information in real time with a Mercedes-Benz Retailer or our Customer Assistance Centre, Mercedes me connect can help with vehicle maintenance and diagnostics, accident recovery, and more. Mercedes me assist gives you fast, easy access to all the after sales help and support you need. Whether you’re looking to book your car in for a service with your Mercedes-Benz Retailer, source genuine Mercedes-Benz parts, or arrange roadside assistance – with Mercedes me assist, it couldn’t be simpler. Mercedes me finance allows you to manage your Mercedes-Benz finance agreement online 24 hours a day, 7 days a week. View your Mercedes-Benz finance and leasing agreements, keep track of your agreement status and payments, and make changes relevant to your Mercedes-Benz finance agreement, including updating your contact and payment details. Mercedes-Benz online community? 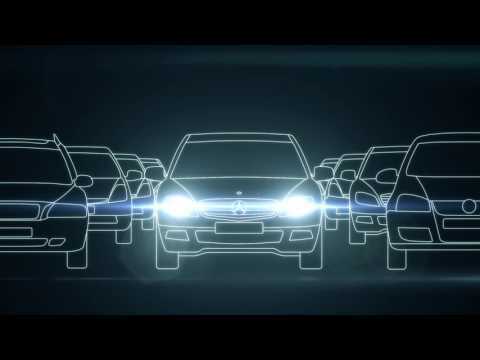 Mercedes me inspire takes you on a journey of discovery about the world of Mercedes-Benz. Mercedes me move offers a range of convenient ways to stay mobile when your own Mercedes-Benz vehicle isn’t available. Get started with Mercedes me. If your car doesn't come with Mercedes me connectivity, you can still experience the customisable features through the Mercedes me Adapter. Supported on both iOS and Android, the device allows you to connect your car to all of the Mercedes me Adapter features using your smartphone. Contact Hughes to check if you’re eligible for a retrofit or to book your Mercedes me Adapter fitting. Call 01296 321733 (Aylesbury) or 01494 412064 (Beaconsfield).